Apparently it’s International Women’s Day today, so I thought that I would write about just a few of the women who influenced and inspired me as a child and young woman. Growing up, I always felt eminently confident that I could study any topic I wanted, have any career I wanted, have any life I wanted. And much of that feeing was down to the stories of the women who had made their mark on history, who were a wonderful character in a book, women who had bucked the trend. The following are just a few of those women; it’s an eclectic selection, a personal one, and yes, I know that there are many, many more I could have listed! 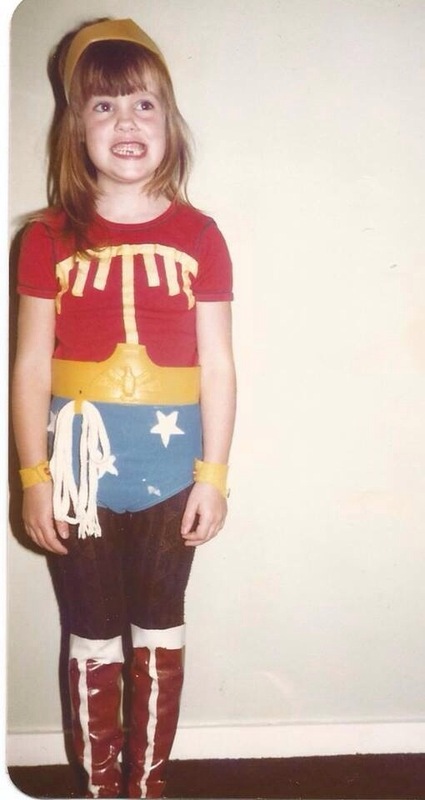 Who wasn’t inspired by Wonder Woman as a young girl?! She had a truth lasso. And an invisible plane. And she always won against the bad guys. There weren’t many female superheroes when I was growing up so Wonder Woman was particularly special to me. George should be held up as an example to all girls. She’s a tomboy who doesn’t want to ‘play house’; she wants adventures; she’s fearless and most importantly, she talks back to Julian (pompous prig that he is) and has an awesome dog called Timmy. I devoured The Famous Five books as a child, and I don’t care how non-PC these stories are perceived to be now, George still rocks! “I know I have the body of a weak, feeble woman; but I have the heart and stomach of a king, and of a king of England too.” Elizabeth was a powerful ruler, she wasn’t a consort, she ruled in her own right. She faced down the Spanish threat, countless assassination attempts and managed relatively successfully to keep the religious in-fighting to a minimum. It was so refreshing to learn at school about a woman in control, in charge, as opposed to the endless stories of male leaders and their derring-doing. A female pilot. So no nonsense about women not being able to navigate or understand machinery! Yes Jane Austen was a ‘spinster’ living her quiet life in Bath. But what a waspish tongue she had, what a fabulous turn of phrase. So cutting and every word packing a punch. Her sentences are pure joy to read, the situations she wrote about still recognizable today. If I could write just one sentence in my life as perfectly crafted as one of Austen’s, I could die a happy woman. I have to admit I am not actually a massive fan of The Body Shop products, although I was a sucker for the banana hair putty and chamomile rinse as a teenager who wanted to be blonder but didn’t have the guts or the money for blonde highlights. But Anita Roddick was more than a woman who sold toiletries. She highlighted issues; she raised awareness of environmental challenges and supported fair trade, well before it became ‘trendy’ to be concerned about these things. A true trailblazer and one who made me realize that not every company was set up and run by men. And that women in business could be, and were, a reality. I devoured the Virago Classics novels as a teenager. Every time I saw that distinctive dark green livery and tiny apple logo on its spine in the bookstore or library, I had to have it. Antonia White. Willa Cather. Elizabeth Bowen. Writers I would never have come across, never have had the opportunity to read, if it hadn’t been for Callil’s vision for a women’s press. My heart still leaps when I see a Virago title I haven’t read yet. There are obviously many, many more women out there who have been an inspiration to others in the past and who are an inspiration today, and I appreciate that I haven’t mentioned any female scientists, engineers, linguists, artists, but I am an English Literature graduate and books and authors will always be my inspiration in all areas of my life. In fact, if you would like to read more about fictional heroines, I suggest you read Samantha Ellis’ How to be a Heroine (Or, what I’ve learned from reading too much). It is a wonderfully entertaining book about the fictional women that have inspired and sustained the author over the years. One last thing. At my current workplace (a publishing company), five of its seven board members are women. So not only do I read about inspirational women, read writing BY inspirational women, but I work with inspirational women every day. Who make a successful career the norm, not the exception. And so that gives me hope that maybe one day we won’t feel the need for International Women’s Days, women-only author prizes or women-only clubs. Because successful women will be the norm everywhere.